American Legend Aircraft and Texas Sport Aircraft, manufacturers of the certified Legend Cub LSA and the Texas Sport kit aircraft, announced that the company has recently certified and approved a new 72-inch Sensenich prop for the airplanes that will increase cruise performance by as much as 10 mph; during testing, the Sensenich allowed for a 108-mph cruise. The ground-adjustable prop allows operators to tune their aircraft for the particular type of flying they do. In addition to this new prop, customers may still choose from a variety of options including fixed-pitch aluminum and classic wood props. 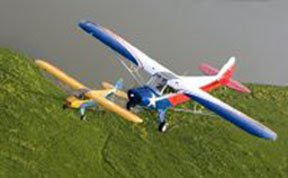 For more information, visit American Legend Aircraft or Texas Sport Aircraft.